Former IBF Featherweight Champion Lee Selby will make his big return to the ring on Saturday 23rd February at The O2, London, on the blockbuster James DeGale vs. Chris Eubank Jr. show, exclusively live on ITV Box Office. Selby kicks off 2019 with new and fresh ambitions as he makes a daring move up two weight classes to campaign in the talent-packed Lightweight division and has targeted a second world title belt before the end of the year. The Welsh star will face hard-hitting American Omar Douglas with a championship title on the line to be confirmed shortly that will support the mouth-watering showdown between bitter rivals DeGale and Eubank Jr in the UK debut event for Premier Boxing Champions (PBC) promoted by Poxon Sports. The 31-year-old can't wait to return to The O2 and he see's it as his lucky omen where he is unbeaten in the five fights he's had there, including his sensational win over Evgeny Gradovich to win the IBF title in May 2015. This will be Selby's first fight since a shock loss of his title to Josh Warrington last May that he put down to trouble making the 126 pound weight limit and realising that he should have made the move up in weight a lot sooner. A loss has certainly not dented Selby's confidence and the time away has made him reflect and refocus on his career and he is now relishing the challenges of fighting in a division that holds some of the elite names in world boxing and being crowned a two-time World Champion. Making history is very much in Selby's sights as he aims to become Wales' first ever recognised two-weight World Champion. The Barry man is looking to carve his name alongside those of other Welsh sporting legends like Joe Calzaghe, JPR Williams, Gareth Bale and Geraint Thomas as he moves in to the next phase of his already glittering career. Selby said, "I'm looking forward to the challenge of becoming a two weight world champion. The move up in weight was long overdue so that's why we've chosen to jump up two weight classes to the Lightweight division,"
"There are so many fights to look forward to with big domestic fights like Campbell, Crolla and Burns along with some of the pound-for-pound best fighters in the world like Vasyl Lomachenko and Mikey García,"
"The Featherweight division was one of the toughest weight classes and I reached the top as IBF world champion. It's the same mission now at Lightweight and I can't wait to get back to business on February 23. The O2 London has been a special venue for me where I won my world title so it's great to be back there on a massive night for British boxing." Douglas, from Wilmington, Delaware, had a decorated amateur career, winning five state Golden Gloves titles and is under the PBC banner. The 27-year-old comes in with a top record of 13 knockouts in 19 wins from 21 fights, with two highly controversial points losses, and is a former NABA Super-Featherweight Champion. He said, "I am very grateful for this opportunity to come to London and fight on the show and the UK fans get to see me in action. Lee Selby is a solid fighter, but I know in my heart that I'm an undefeated fighter and that will make me very dangerous and I will show it on February 23. 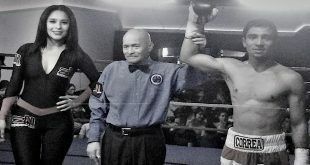 I will show I'm a major player at junior lightweight. Although this fight is at 135 pounds I want the world to see that I'm one of the top guys at 130 and put the champions on notice." 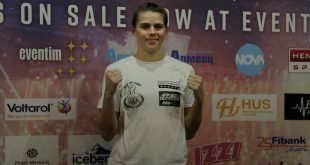 Promoter Richard Poxon of Poxon Sports is thrilled to welcome a fighter of Selby's calibre to the action-packed card and expects him to shine at lightweight. Poxon said, "I always felt Lee would be a dominant champion at Featherweight and would have fancied him against anyone. I was as surprised as anyone when he lost to Josh Warrington, but it was no secret Lee had had his problems making weight,"
"I'm really looking forward to watching Lee in this fight. To jump up two weights is some leap and it will be very interesting to see how he fits in the Lightweight division,"
"Douglas isn't a joke for anyone and has only lost to the 'top tier' boxers. Edner Cherry is a proven operator and [Javier] Fortuna is top drawer. He'll be coming to win, that's for sure,"
"If Lee carries the weight well, then I'd expect him to be a serious threat to any of the champions at 135lbs. There are some great domestic fights out there for him as well as on the international stage." Tickets available from www.AXS.com and Inner Ringside/VIP Hospitality from www.sportandmusic.co.uk. 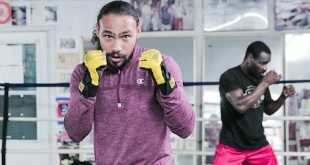 The unique collaboration is the first time that Haymon Sports and PBC has partnered with a UK broadcaster to stage boxing events regularly in the UK. The exclusive three-year deal will guarantee a minimum of 15 televised events each year, drawing from PBC's unrivalled group of over 160 of the best boxers in the world, which includes more than 60 current and former world champions in matches staged both in the UK and the US. 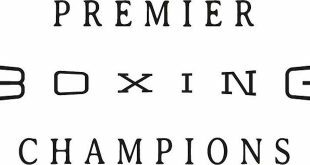 PBC, the sports' pre-eminent boxing brand, is broadcast over cable and network television in the United States. The world-class action from events for the next three years will include free-to-air broadcasts on ITV's channels, including ITV main channel and ITV4 and ITV Hub, and will also include pay per views on ITV's PPV channel, ITV Box Office. This new deal for boxing adds to ITV Sport's portfolio of first class events, which includes exclusive free to air coverage of the England football team's qualifiers for both the European Championship and World Cup, the 6 Nations and exclusive coverage of the Rugby World Cup, UK horse racing, the Tour de France and the French Open.